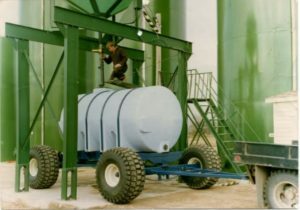 Pattison Liquid Systems Inc. is a leading manufacturer of liquid fertilizer application and handling equipment, located in Lemberg, SK. 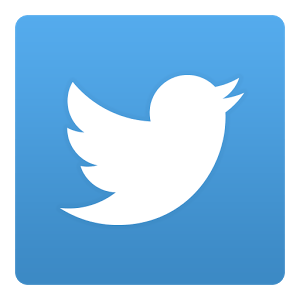 Rick Pattison is the sole owner. Originally brothers Rick and Larry Pattison founded the company known as Pattison Bros. Agro Ltd. in 1979. Pattison Brothers Agro Ltd. retailed all forms of fertilizer (with liquid being the majority), crop inputs, crop production and provided custom application from their retail outlets in Lemberg and Wadena, and partnered with Bell Agro Ltd. in Indian Head and Edenwold. The stores were sold in 1998. 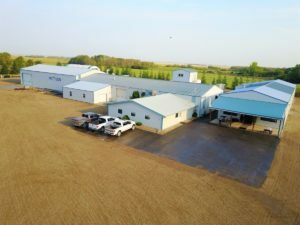 Pattison Liquid Systems Inc.continues the dedication to manufacture the highest quality liquid fertilizer equipment as Pattison Brothers had done since the beginning. The Pattison’s have used liquid fertilizer on their own grain farm since 1979 and continue to do so today. Over the years trends have changed in the methods of fertilizer application and the equipment required. The Pattison’s have either been instrumental in the changes to the application methods themselves or in adopting the equipment to meet the changes. Pattison Liquid Systems Inc. is aware of the demands today’s farming can place on producers and equipment alike. Pattison Liquid Systems manufactures equipment that is designed, manufactured and tested by farmers to meet those demands. Currently, there are two application methods that are presently quite popular, the first being direct seeding with liquids. This is where all of your nutrient requirements are placed at the time of seeding. The second being dribble banding, where nutrients are top dressed to meet the needs of economic and environmental factors. Why are Farmers switching to liquid fertilizer? Placement – The ability to precisely place the nutrients in close proximity to the seed without risking seedling damage. Efficiency – By connecting a liquid wagon to an air seeder, growers are able to, in many cases, double the number of acres/fi ll of seed. Cost – It is very simple and low cost to convert ones existing equipment to a direct seeding system. 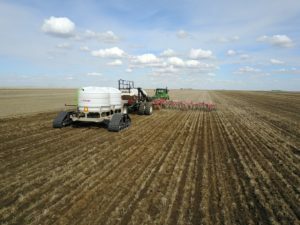 Agronomics – The composition of liquid nitrogen (28-0-0)being UAN or urea ammonium nitrate, allows for a somewhat timed release of nitrogen throughout the growing year. Flexibility – The ability to dribble band liquids in a post-emergent application. Pattison Liquid Systems is the leading manufacturer of liquid fertilizer application systems. From our large 5200 USG tow-behind wagon to our variable rate and sectional controlled distribution systems. If you are looking to add liquid fertilizer to your nutrient program or just upgrading your current system, have a look at the latest technology available HERE.